43-450 AD Roman Britain The Romans were Britain’s first invaders and gave Britain its Roman roads, Roman baths, forts, the city of London and Hadrian’s Wall. 450 AD Anglo-Saxon Britain When the Romans left Britain, the Angles, Saxons and Jutes (known collectively as the Anglo-Saxons) invaded Britain by boat from Germany, Denmark and Holland. 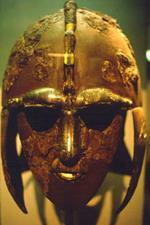 The Anglo-Saxons divided Britain into kingdoms but were never able to conquer Cornwall, Wales and Scotland. 793 Viking Britain The Vikings (or Norsemen) invaded Britain from their homelands of Sweden, Denmark and Norway. The first place they attacked was Lindisfarne, an island just off the coast of Northumberland, which had a monastery on it. 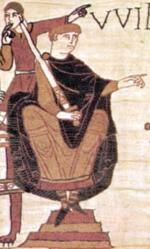 The Anglo-Saxons settlers are constantly defending Britain from the invaders. 1066 William I (Normans) The Normans invade Britain and William the Conqueror defeats King Harold (kills him) in the 1066 Battle of Hastings. William brought Norman-French culture to Britain, ordered the compilation of the Domesday Book in 1086 and built the Tower of London’s White Tower. 1087 William II (Normans) William II or William Rufus (because of his red face) was bad tempered and unpopular, and was killed by an arrow while hunting in the New Forest. The Rufus Stone marks the spot where he is thought to have fallen. 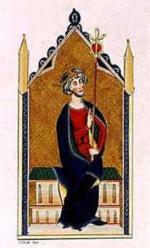 1100 Henry I (Normans) Younger brother of William II. 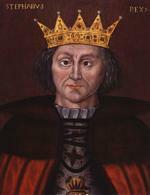 Henry I was known as Beauclerc and the Lion of Justice and made many reforms including creating the biannual Exchequer. 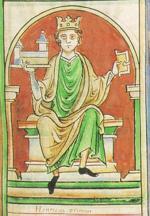 1135 Stephen (Normans) King Stephen, or Stephen of Blois, was the last Norman King of England and his reign is known for the civil war which went on between Stephen and Empress Matilda.